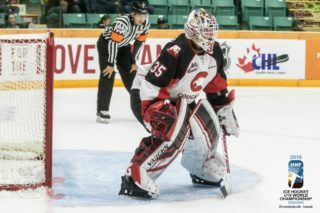 The Prince George Cougars were 20-minutes away from snapping their winless skid, but the Kelowna Rockets rallied in the third period for a 4-3 win at Prospera Place Friday night. 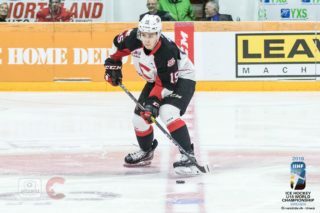 The Cougars winless streak stretched to 12 after Friday’s loss and they’ll look to break out of the slump on Sunday afternoon against the Vancouver Giants. The Cougars came out of the blocks running in Mark Lamb’s debut behind the bench. Josh Curtis scored twice in the first period and Cole Moberg added another, as the Cougars led 3-1 through 20-minutes. Taylor Gauthier started the game but left midway through the third period after sustaining an upper-body injury. He stopped 17 of 20 shots in 49-minutes of work. 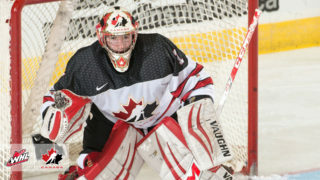 15-year-old prospect Tyler Brennan came in relief, and he stopped four of five shots in just over 10-minutes of work. Nolan Foote scored twice for the Rockets and Cayde Augustine and Mark Liwiski added singles. James Porter started for the Rockets, but he was chased after the first period, after surrendering three goals on 16 shots. Roman Basran played the final two periods, stopping 15 shots. The Cougars built up a 2-0 lead in the first after Moberg and Curtis scored three-minutes apart in the back half of the opening frame. Moberg scored on the power-play and Curtis an even-strength marker to put the Cougars up by two. 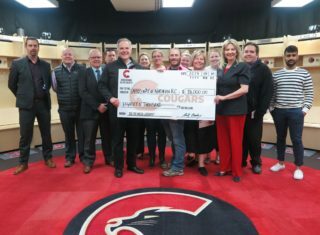 After Foote’s short-handed goal made it 2-1, the Cougars restored their two-goal lead on the same power-play, as Curtis scored his second of the period with just 53-seconds left. 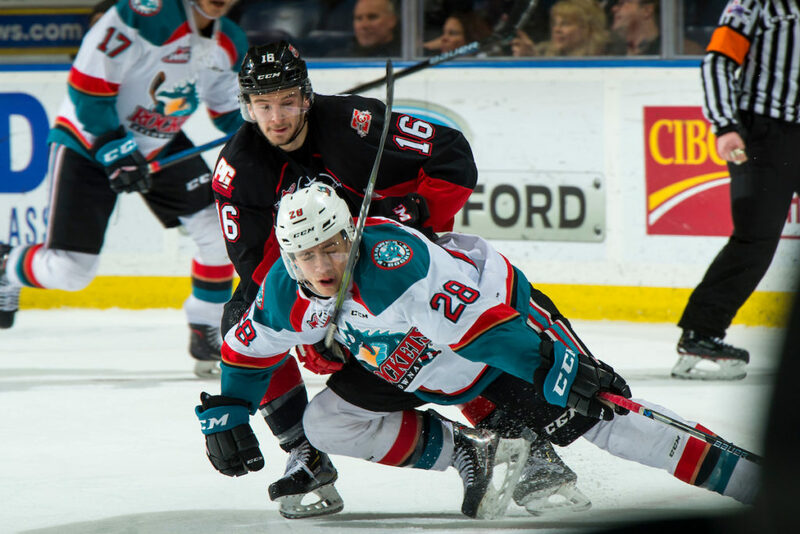 Augustine scored the only goal in the second period, his first in the WHL, on a Rockets’ power-play. Foote tied the game eight-minutes into the third period. With Gauthier out due to injury, Liwiski scored the game-winner just past the 12-minute mark. Liwiski was the one that clipped Gauthier with his leg.